In the context of rising populism, protectionism and a fast-changing global economy, speakers discussed the future for EU trade. On the US side, the new US administration is focusing on bilateral trade deals. Meanwhile, the European Commission is striving to play a role in global standard-setting through multilateral trade and bilateral trade. Representatives from civil society stressed that, for them, trade policy is a means to encourage sustainable development or push for higher labour standards globally, but is not the end goal. Speakers also emphasised that trade cannot be considered separately from other important issues like data flows, environmental rules, consumer rights and labour laws. 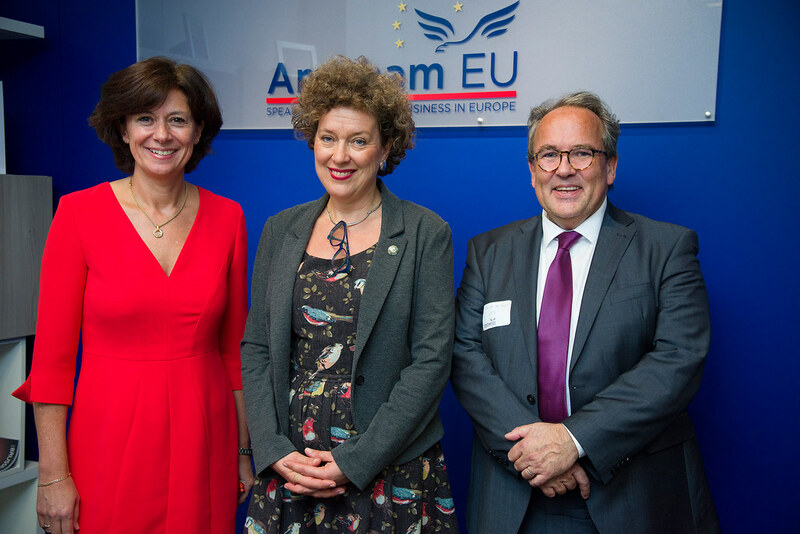 The panel was followed by a conversation with Maria Åsenius, Head of Cabinet to EU Trade Commissioner Cecilia Malmström, who reaffirmed the European Commission’s high ambition for future EU trade policy. While a transatlantic trade deal has not come to fruition, EU-US trade continues to be robust. She also recognised that we need to make trade work better by investing in people and skills adapted to the new economy, and called on companies speak out more on the benefits of trade. The case for trade is strong – but we need to strike the right balance. Let’s keep the dialogue going. Contact Tim Adamson, Senior Policy Adviser at TAD@amchameu.eu.